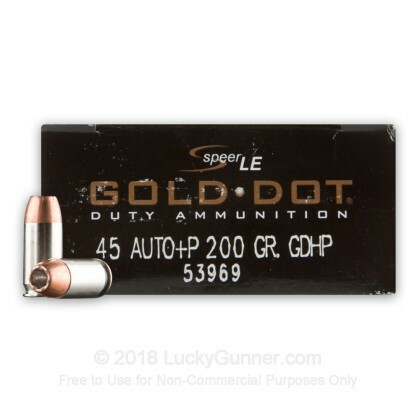 This Speer Gold Dot® 200 grain .45 ACP +P round is specially crafted for self-defense situations. It delivers power and accuracy at a price that lets you get in the practice you need without breaking the bank. 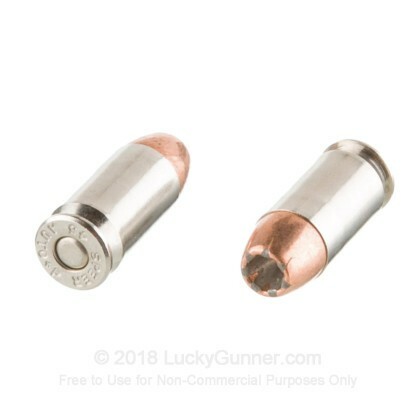 Every Gold Dot® jacketed hollow point (JHP) round undergoes a unique bonding process that keeps the jacket attached to the core, promoting weight retention and controlled expansion. On impact, the bullet expands along engineered “fault lines” for consistent performance with every shot. The Boxer-primed brass case is nickel-plated for increased durability and reliable feeding. 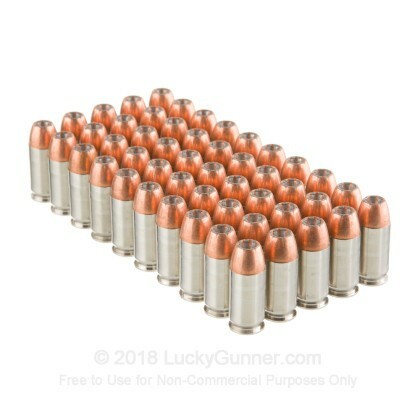 This ammunition is intended for use in .45 Auto firearms rated for +P ammunition; firing it in a gun not rated for that pressure could be dangerous. Consult your firearm manufacturer for more information. 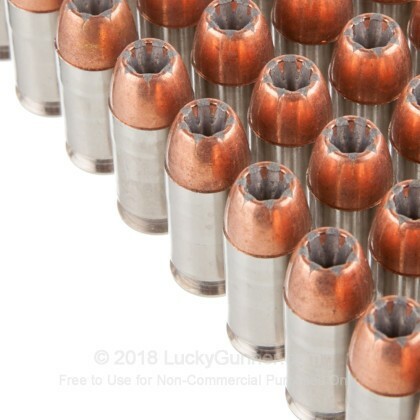 When you or your family’s life is on the line, you need to know you can rely on the ammunition in your firearm. 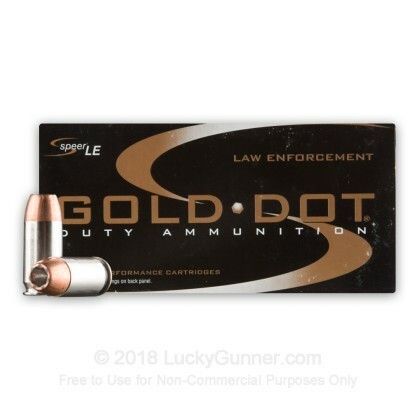 Speer Gold Dot® ammunition is the choice of law enforcement agencies across the United States because it has proven its reliability time and time again. 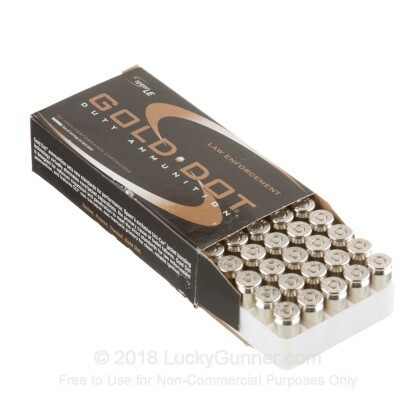 We also have this 45 ACP - +P 200 Grain JHP - Speer Gold Dot - 50 Rounds ammo in stock in a smaller quantity.